4 Reasons Prestige Doesn’t Justify Your Rates. Your Law Firm Proposal Needs Better Differentiators. There you are, in your office, the night before your proposal is due, cursor blinking on your screen. And you’re staring at questions 1 and 2 of the Request for Proposal. When I consult with legal clients about their proposals, differentiating themselves is always the hardest part for them. Experience? Great results? Happy clients? Attorney bios? Yeah, they have it, but so do all the other large firms that they’re competing against. So how do you stand out? How do you get the client to choose you? Most importantly, how do you justify those rates? Without a structured process, most clients simply give up. You cite the same things everyone else is citing, hope for the best and then dabble on a little of that magical Biglaw cureall: prestige. Ah, yes. What is prestige going for these days on the spot market? Can you buy a bucketful? Does it work this way? Not at all. But every RFP that gets sent out gets back a dozen proposals going on and on about the history of the firm and how prestigious it is. To the proposal writer, this makes perfect sense. After all, who is the client to say what is and isn’t prestigious? It’s a matter of opinion. Think about that, though. Is your unverifiable, untestable opinion a solid foundation on which to justify hourly rates in a proposal to the very person who you want to pay them? And is it something you even want to claim? To me, there are six very good reasons why you should banish this word from your legal proposals. Can’t We Just Slap Some Prestige on It? A proposal is a sales document. So, what you say in it does affect the opinions that the reader has of your firm. And a proposal can heighten the dignity of an otherwise excellent firm in the eyes of the client. In the end, though, for a proposal to ring true at all, it needs to reflect the actual character of your law firm. Now, a law firm can certainly enhance their prestige if they’re willing to pay the price to do so. But trying to claim the mantle without paying the price will be quickly found out. Moreover, the client will not appreciate you passing off averageness for the pinnacle of quality. It’s a sham. There are firms that have become recognized as prestigious through decades of unsurpassed results, the highest standards and excellent customer service. And there are firms that have entered the club in a much shorter amount of time, spending what it took with tables at charity dinners and soirees and Monets and other forms of advertising that the legal world considers acceptable. A hundred years on one hand and ten or twenty on the other. Well, heck, if those guys can consider themselves prestigious, why can’t we? We can use the same heavy paper in our Christmas cards and serve the same fancy wine at parties for clients. The problem, though, is that prestige is a specific choice. And if you haven’t been making that choice all along, you can’t justify your rates by citing it now. Nobody will believe you. Why? The sorts of clients who are using RFPs are not stupid. They are Fortune 500 companies. They pay their executives very well. They know what prestige is. Some attorneys argue that they can claim to be prestigious by virtue of their rates. This gets it all backwards, of course. But, even more critically, these sorts need to realize that they really aren’t actually willing to pay the price for prestige. Prestige isn’t measured by how many partners you have who claim to bill $1,000 an hour. It’s found in a culture of adherence to the highest standards, even when nobody is looking. It’s a willingness to forego profits now for the sake of goodwill later. It’s ensuring that even your newest associates and paralegals understand that there is no such thing as routine. No routine email. No routine phone call. No routine filing. The price of prestige is the way the receptionist answers the phone, the way even the UPS guy is greeted in the lobby. It’s the way a young litigator interacts with opposing counsel at the courthouse. In other words, the price of prestige is doing everything it takes to earn prestige. Hourly rates are not part of that equation. Still, some lawyers want to run prestige up the flagpole and waive it around for clients to justify their rates. Is that even a good choice? If you choose to present yourself in your proposals as prestigious, does that mesh with the clients you’re trying to win? Does it harmonize with their businesses, values, goals, hobbies? Not likely. When I ask training participants to name some prestigious companies, the same one always come up first. Try it yourself. Who do you think of? The company most people mention is Rolls Royce. Most people, even wealthy people, do not have a Rolls Royce. Why not? Wouldn’t they like one? Sure. But they have many, many things they want to accomplish before they get around to buying a Rolls Royce. They’d rather have their kids go to the best possible schools. They’d rather have a beach house as a place the family can go have fun together. They’d rather splurge on tickets to take their buddy to the Super Bowl. But a Rolls Royce? They’re happy with their Lexus or BMW or other luxury car. The extra that a Rolls Royce provides—prestige, essentially—just isn’t that valuable to most people. And that’s with their own money. If they rarely get a Rolls Royce for themselves, you can be sure that they absolutely do not buy Rolls Royces for their business. Does Home Depot use Rolls Royce as a company car? Does Staples? So why would you want to sell yourself as the Rolls Royce of law firms when you answer an RFP? And yet a Google search for “prestigious law firm” turns up over two million hits. Clearly, firms are doing just that. This is not to say that you cannot justify your Biglaw rates. But if your clients are pickup truck people, you will not wow them with a Rolls Royce. Instead, you’ll just make them think, 1) you are very, very different from them, and 2) you waste a lot of money on stupid stuff. Does a client want to pay for stupid stuff through your sky-high rates? No way. He’ll pay for quality, results, experience and a lot of other things, but prestige isn’t one of them. I remember appearing before a judge on a pro bono matter I was handling as a young associate when I was at Simpson Thacher, generally considered one of the most prestigious firms in the world. At that moment, it became incredibly clear that she had never heard of us before. To me, this was eye opening. Green as I was, I just assumed that judges came from elite schools and students at elite schools knew about elite firms. Nope. The firm name meant squat to her. If it meant squat to her, did it have any value to clients? Maybe at the appellate court level. Maybe in federal courts more than state. But not nearly as much as most Biglaw lawyers wish it did. And that’s for a firm that’s survived at the top of the New York legal community for a hundred years. Who are those other two million Google hits talking about? Of course, you need to be able to actually back these up when the client asks for details. If you can’t say something like, “Yes, all our attorneys and paralegals undergo three hours of training in project management, an hour of training in management, two hours of training in quality assurance, and two hours of training in clear client communication,” then you can’t list them in your proposal as aspects that justify your prices. The reality is that most firms get by on their experience alone and they can do that because everyone else is doing it too. But as big clients are moving towards using RFPs, they’re also becoming much more willing to take chances on smaller firms who are willing and able to deliver value in other ways. And as more law firms wake up to the value of a persuasive proposal, fewer competitors will be left playing the me-too game with your firm. In other words, the days of Biglaw rates being justified by experience and a whitewash of prestige are clearly at an end. Prestige has its uses, but very few firms are needed to satisfy the occasional Sultan or Blue Blood. It’s time for you to find a better way to sell your legal services. You need to win more business. For the sake of your firm’s profits per partner, your job, and your family, you need to be more successful. Chris Sant is the Founder of Chris Sant Consulting which provides solutions based on 20 years of success plus proprietary research into cognitive linguistics and buying psychology. His system produces 35% more wins and 35% more money in 35 minutes or less—with a 1,000% ROI guarantee! To learn more, check it out at LawProposals.com. About the Author: Chris Sant is the Founder of Chris Sant Consulting which provides solutions based on 20 years of success plus proprietary research into cognitive linguistics and buying psychology. His system produces 35% more wins and 35% more money in 35 minutes or less—with a 1,000% ROI guarantee! 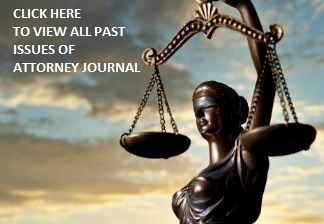 To learn more, check it out at LawProposals.com.